LOS ANGELES, CA / ACCESSWIRE / January 16, 2018 / Troy Caruso of Radium2 Capital, a company that offers financing for a wide range of businesses, is proud to announce that he was named the 2017 Man of the Year by Cooley's Anemia Foundation in Suffolk County. Caruso received the prestigious honor at an awards charity dinner that was held earlier this summer. 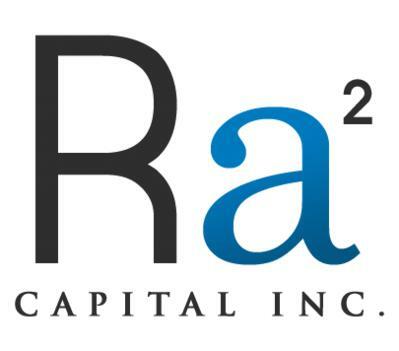 To learn more about Radium2 Capital and the services that they provide their valued clients, please visit http://radium2capital.com/. As a company spokesperson noted, the fact that Caruso was named the 2017 Man of the Year by Cooley's Anemia Foundation will not surprise the many clients who have worked with the company. In addition to providing outstanding services to their clients, the team from Radium2 Capital is well-known for giving back to their local community throughout the entire year. In fact, the spokesperson noted, Caruso and his team from Radium2 Capital used the fundraising awards dinner as a chance to raise money for charity. By the time the evening was over, they had raised an impressive $500,000. "Troy and everyone at Radium2 Capital plan on making 2018's fundraising event an even bigger success," the spokesperson noted. One reason that Radium2 Capital has been so successful, the spokesperson noted, is their commitment to building solid relationships with their customers. The company is also proud to use leading edge tools including a proprietary underwriting platform and application process that is hassle-free and will give their clients a decision as quickly as possible. In many cases, clients will receive same-day approval and funding within 3 short days, with minimum documentation, and switching merchant processors is not required. "Our 10-plus years of alternative finance experience makes our staff the key to our success in understanding your business needs," the spokesperson noted, adding that Radium2 Capital is proud to staff a team of industry experts who are devoted to making business funding as simple as possible. "From the first quote to funding, we are there to walk you through the process and guide you through your options in finding a solution that works for you." Radium2 Capital was founded on the principles of integrity and transparency and works to provide small businesses with working capital. Learn more about Radium2 Capital by visiting their website: http://radium2capital.com/.